Not even the rise of electrification will end this hot hatch. There’s been a lot of talk lately regarding Volkswagen’s upcoming all-electric lineup, branded I.D. The first EV, the I.D. hatchback, is set to debut later this year. But what about the German automaker’s existing lineup, which does consist of a certain icon, the GTI hot hatch. We spoke with Volkswagen Group of North America CEO Scott Keogh at Geneva last week and he made something very clear that we were extremely happy to hear. 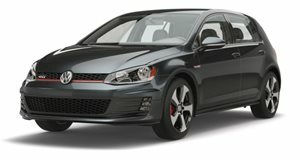 "Right now, the GTI is the heart and soul of our brand. However, I’m not naïve that the segment is getting smaller but I’m also not naïve to the fact that we gotta hang on to that (the GTI),” he said. 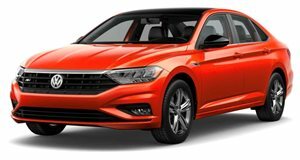 Keogh also specifically pointed out another example of the automaker’s commitment to performance models with the recently revealed Jetta GLI. Whether this means performance crossovers or something else entirely Keogh, quite clearly, refused to go into. But Keogh fully understands and appreciates the important of performance, relatively low-volume models like the GTI and new Jetta GLI. Heck, it’s also totally possible we’ll eventually see performance EVs, but one thing at a time. "We will be bringing the eighth-generation Golf. That will have a GTI,” Keogh added. "We’re 100 percent on board. Right now GTI will stay GTI. We need these types of cars.” The next generation Golf is expected to debut next September at Frankfurt and the new GTI will likely follow shortly thereafter.